Tinkatolli Tips - Tinkatolli News & Tinkatolli Guides 2013: Testers needed for the iOS Tinkamaker App! Testers needed for the iOS Tinkamaker App! 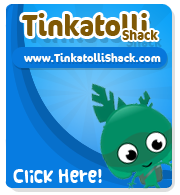 Tinkatolli is searching testers for their first App - Tinkamaker! In the email please tell use your age an which device you can test on. New Interface & Minor Updates! New drive-able makeables coming soon!